Our most popular and versatile product! Our Medium Roast Maya Powder is our most popular and versatile product. Medium Roast Maya has a naturally delicious chocolatey, coffee, nutty flavor. 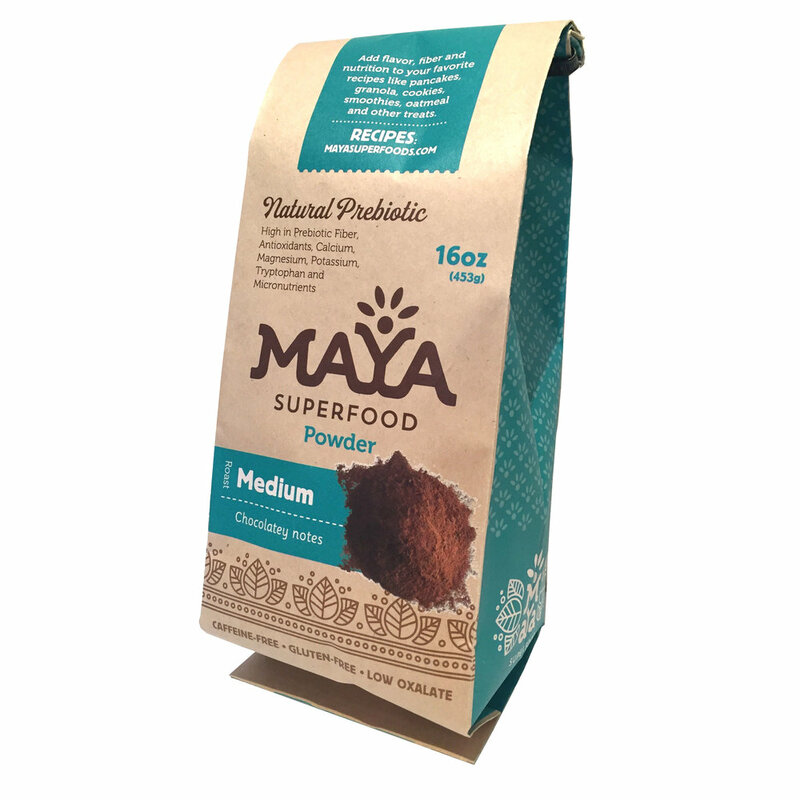 Stir some into your favorite yogurt, cereal, baked goods or smoothies or try one of our Maya Powder recipes to boost flavor, fiber and nutrition!